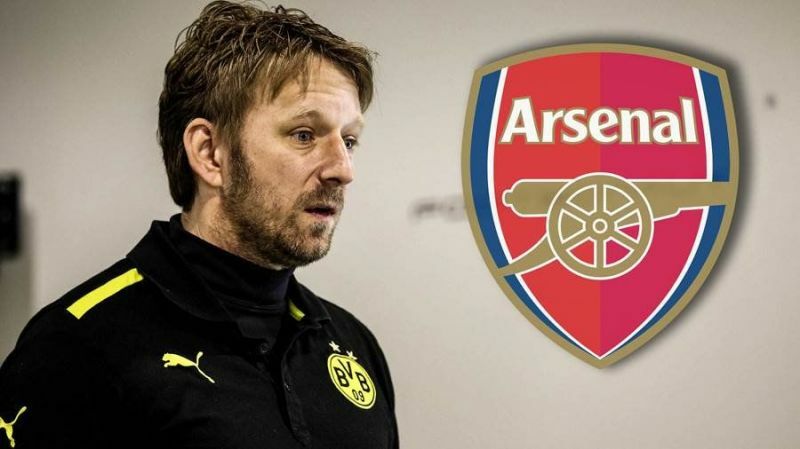 The former Borussia Dortmund chief nicknamed 'Diamond Eye' for his ability to spot out prospects joined the Gunners in 2017 and has since done a spectacular job in his position. In less than two month of beginning operations at the North-London club, the German scout was able to bring in three players. It was in the winter transfer window of 2018 during which he signed Pierre-Emerick Aubameyang, Henrikh Mkhitaryan and Konstantinos Mavropanos from Dortmund, Manchester United and PAS Giannina respectively. The 46-year-old (alongside former chief executive Ivan Gazidis and present sporting director Raul Sanllehi) was a member of the three-man committee that employed Unai Emery as a replacement for Arsene Wenger at the end of last season. Another round of transfer activities followed and it was his busiest transfer window as Arsenal employee. Lucas Torreira, Matteo Guendouzi, Sokratis Papastathopoulos, Stephan Lichtsteiner, then Bernd Leno were all acquisitions made by him in this period. Unfortunately, the last but one player on the list has been below par since making that free transfer switch from Juventus. Mislintat finished it up with a loan move for Denis Suarez of Barcelona last month. That was the end of it all. Today, he will bid farewell to the Emirates Stadium family as he seeks a new challenge somewhere else. 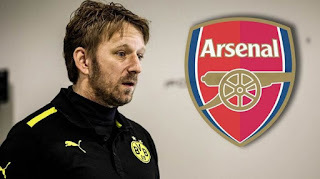 According to revelations by Sky Sports News, Mislintat is leaving because of repelling opinions shared by him and Sanllehi and also for the fact that Arsenal are not cooperating when it comes to making financial provisions for signing players. Despite being linked with the likes of Carrasco and Perisic in January they could only secure one transfer which was not a permanent one. To fill in the void left by Sven, the Gunners want more of a technical director - one who will not only identify prospects but also be involved in their development. In view of this, former Arsenal star Marc Overmars is being considered for the job having done absolutely well in that position at Ajax since 2012. Also on their radar is Roma sporting director Monchi.